At the first light past the stadium (before the V.A. 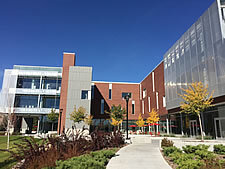 hospital complex), turn left onto Campus Center Dr. Turn right onto E. South Campus Dr.
At the first stop light, turn left going North on Campus Center Drive (a.k.a 1725 East or the "business loop"). Continue up 400 South (it curves into 500 South), pass the stadium on your left. Please park in the visitor parking lot just WEST of the new parking structure. It is the old visitor parking lot. 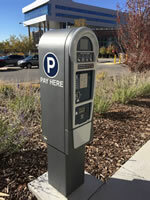 Locate one of the five parking kiosks on the outer edges of Lot 12. Press any key on the keypad to turn on the screen. Select Option (1) $2 Per Hour Parking and choose (8) hours. Have a coupon? Enter (1) Yes. Enter Coupon Code: This number will be emailed to you no later than one day prior to the class date. If you have any problems with the kiosk please call 801-585-9038. For further details see our parking map.